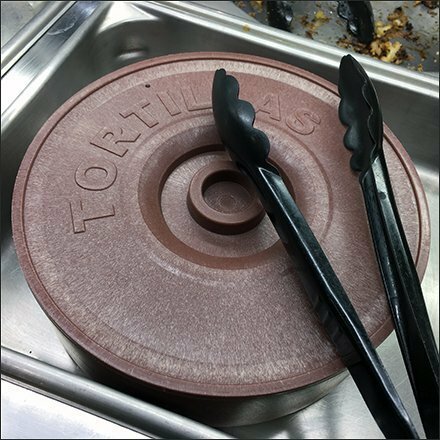 Only upon encountering in an in-store Mexican Food Buffet did it dawn on me that you can’t offer serve-yourself in any way other than these buffet Service Mexican Tortillas Tongs. This lidded and labeled server helps preserve the perfect Tortilla texture for discerning Buffet diners. Tong use encouraged but maybe optional if you have trouble fishing one out. These Buffet Service Mexican Tortillas Tong seen among other Mexican Food buffet offerings at the Tilghman Street Wegmans, in Allentown PA. One of our favorites, even though we are not Hispanic.